Here Comes A Bag That Fits With Your Unique Style And Utility Requirement Perfectly. Ergonomically Designed Using Prints And With A Super Tough Padded Base. This F Gear Backpack Is Spacious, Lightweight And Easy To Carry. 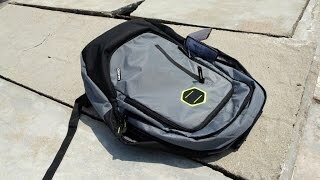 It Is An Ideal Backpack For Daily Use, Office, School, College, Travel Etc…. The lowest price of F Gear Castle - Rugged Base 27 L Standard Backpack(Blue) was obtained on April 19, 2019 4:38 pm. Too cool, just too cool. Brought it to the school and no one can just stop staring at it. Unbelievable style,cool looks and totally comfortable. Lots of spaces in the bag too. Looks very durable and the materials are great. Clearly F gear is not a joke company. This bag rocks dude. If anyone wanna get a F gear Axe bag I recommend this color to all of them. Get ready to see the look on your friends face when they look at this FLYING PHOENIX!!!!!!!! It is very good product and worth for money. very useful for kid can be used school bag as well as back pack by kids for light things. The material is good and all the chain and lock is of very good quality. This bag have got good space. It is prefect for school goers. But it is not prefect for you if you like to carry have stuff on bag. It may got damaged in that case. So if u have to use it for few book and look light stuff you can bought it. If u r looking for a spacious,more than 4 pouched college bag excliding laptop purpose,this is the thing u r searching for….! !Awesome product…quality material….nice layout…Paisa vasool product…!! Loved it….!! Don’t buy this item because of this item actually is not good looking like this imageBuy this item is waste of money ….. Excellent bag, my daughter has been using the same for last 2 years. Bough one more as it is old now, but still in excellent condition. Much better than AT.